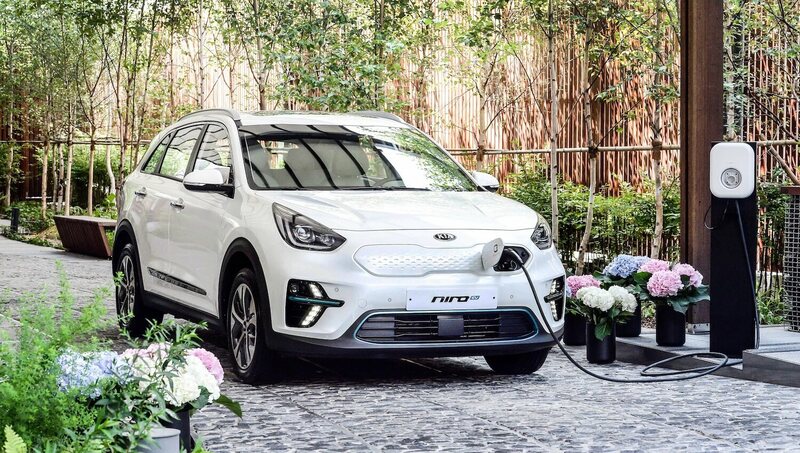 The new Kia Niro EV, with a 280 mile electric range (based on the WLTP test cycle) has gone on sale in Korea, prior to coming to Europe by the end of 2018. The Niro EV occupies a unique position in the global market as an all-electric crossover, and sits alongside the existing Hybrid and Plug-in Hybrid variants of the car – of which more than 200,000 have sold globally since the Niro’s introduction in 2016 (including more than 65,000 European sales). The Korean carmaker has received more than 5,000 pre-orders for the Niro EV in its domestic market since the car was first revealed earlier this year. The Niro EV is to be Kia’s second globally-sold electric vehicle after the Soul EV. The new model will make its European debut at the 2018 Paris Motor Show this October, and will go on sale in Europe by the end of 2018. Full UK specification pricing and on-sale date will be announced in due course. A high-capacity 64 kWh lithium-polymer battery pack affords a driving range of up to 280 miles (450 kilometres) on a single charge with zero emissions. Plugged into a 100 kW fast charger, it takes 54 minutes to recharge the Niro EV’s battery to 80 per cent. In addition a 39.2 kWh lithium-polymer battery pack, with a range of up to 186 miles (300 kilometres) from a single charge will also be available. Power is provided to the front wheels through a 150 kW (204 ps) motor, producing 395 Nm torque from standstill, for acceleration from 0 to 62mph in just 7.8 seconds. The battery pack is located low down in the body, beneath the boot floor, creating a centre of gravity more akin to that of a saloon or a hatchback, ensuring maximum stability and driving enjoyment on winding roads.